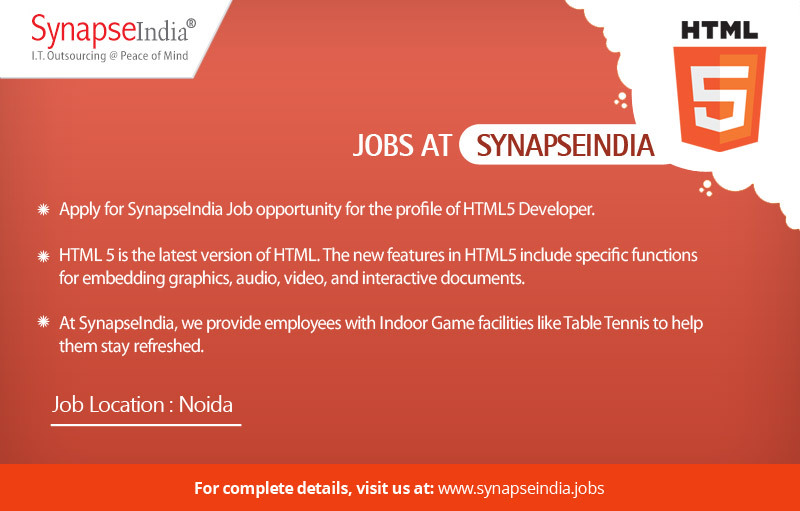 Apply for SynapseIndia Job opportunity for the profile of HTML5 Developer. The job location will be NSEZ, Noida. HTML 5 is the latest version of HTML. The new features in HTML5 include specific functions for embedding graphics, audio, video, and interactive documents. At SynapseIndia, we provide employees with Indoor Game facilities like Table Tennis to help them stay refreshed.